This summer, Cheese & Burger Society is sponsoring a series of weekly guest posts to bring you lots of great backyard barbeque and grilling tips from around the country to celebrate the return of the Green Bay Packers Football Sweepstakes! Be sure to enter for your chance to score the MVP prize package worth $8,500, and enter the weekly Football Fanatic Giveaway for your chance to win multiple prizes, including an authentic Packers helmet or elite jersey. It’s hard to beat a backyard barbecue for stress-free, laid-back entertaining during the summer. In fact, there’s really nothing I enjoy more than moving all meals outside when the temperatures rise. And my favorite part? Your party prep can be just as easy as gathering hungry friends. Ditch the paper napkins. Six-packs of mini cotton dishtowels in bright colors and bold stripes are affordable, better-looking and washable, so you can use them all summer long. Serve a signature drink. 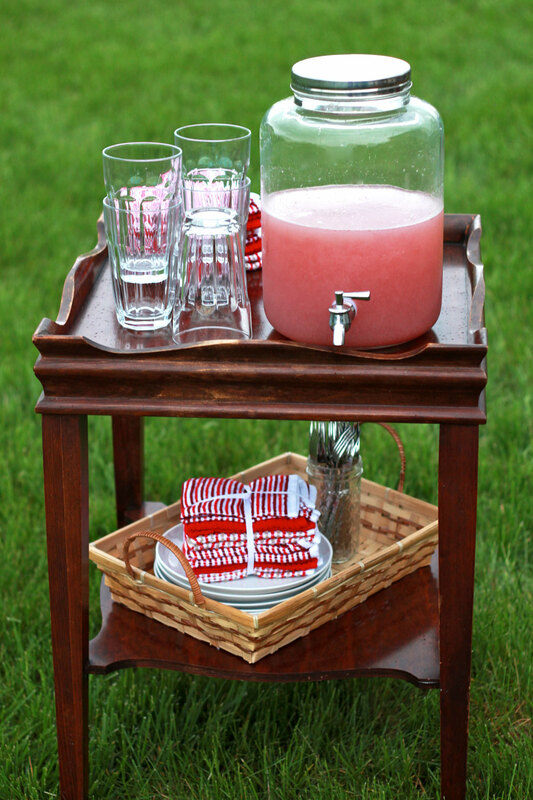 Mix together an easy Summer Melon Punch ahead of time, then set out a small bar table with the punch, glasses, a bucket of ice and garnishes. 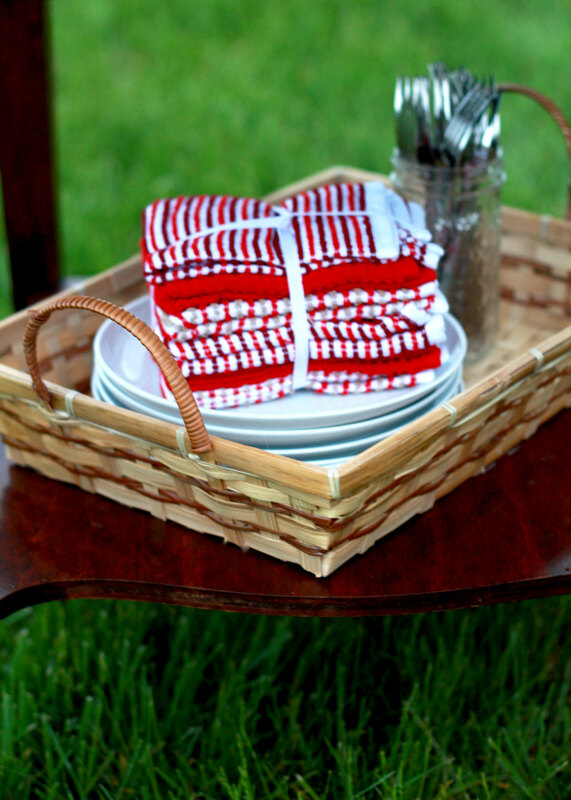 Guests can help themselves, freeing you up as the host to enjoy your party instead of helping with refills. Give traditional burgers a makeover. 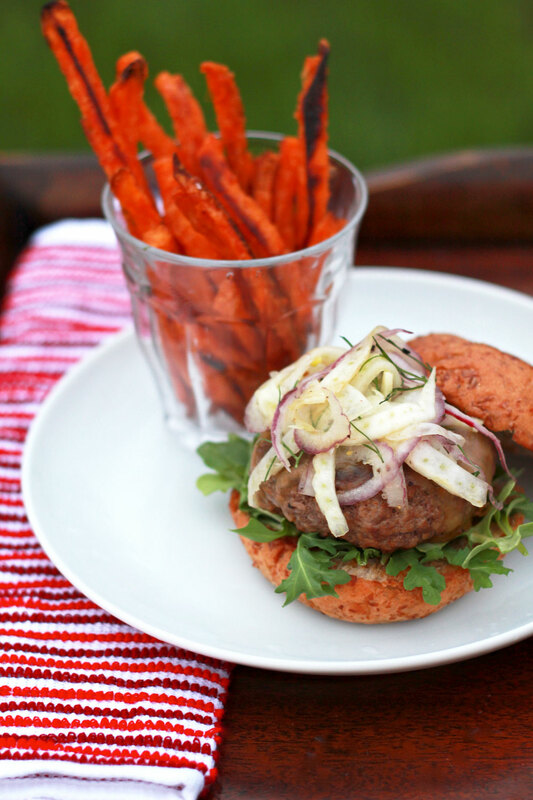 Add fresh, flavor-packed toppings, as in my Smoked Gouda Cheeseburgers with Fennel Slaw recipe, and give a new spin to an old classic. Also, try giving a spicy kick to your dipping ketchup by mixing in Sriracha or adding smoky flavor by folding in the sauce from chipotle peppers in adobo.